Hanoi (VNA) – General Director of the Vietnam National Tourism Administration Nguyen Van Tuan spotlighted both the good performances and limitations of the tourism industry in the first two quarters of this year in a conference in Hanoi on July 8. The number of foreign arrivals to Vietnam recorded stable growth in the period, hitting over 4.7 million, including 1.2 million from China, a year-on-year rise of 47.5 percent. However, infrastructure facilities serving the industry have yet to meet the increasing demand of tourists, he noted. 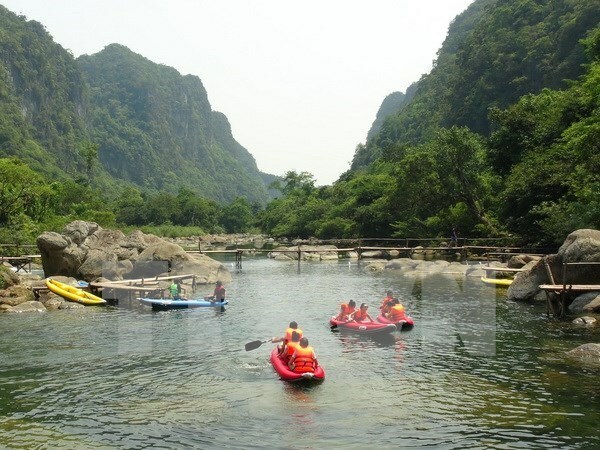 The sector witnessed disadvantages such as traffic accidents, mass fish deaths in the central region, and legal violations in tourism activities of foreigners in Vietnam, especially those from China, Tuan said, adding that these caused negative impacts on tourism growth. The administration has requested departments of culture, sports and tourism and departments of tourism nationwide to intensify inspections of tourism business activities, especially travelling and tour guide services, and impose strict punishments on law violations. It is necessary to enhance cooperation among the Ministry of Public Security, the Ministry of Culture, Sports and Tourism, and localities to effectively cope with the situation, Tuan stressed. Participants at the conference discussed future measures to overcome difficulties facing the sector. They underlined the need to maintain the number of Chinese tourists to Vietnam, as China is one of the largest tourist markets for Vietnam, which accounts for between 22-25 percent of the total foreign arrivals to the country. In the remaining months of the year, the Ministry of Culture, Sports and Tourism will continue working with ministries, sectors and localities to increase inspection of tourism activities, and strictly handle relevant violations in tourism management and businesses, said Minister Nguyen Thien Ngoc on the sidelines of the conference.